Twenty years ago, Los Angeles not only opened a subway (Don't forget to enter The Militant's Red Line 20th Anniversary Contest by 11:59 p.m. tonight! ), but last hosted a Super Bowl. The venue was Pasadena's Rose Bowl, seasonal home of the UCLA Bruins football team and annual home of the, well, Rose Bowl game (duuh). Not only did Super Bowl XXVII have the Dallas Cowboys rout the Buffalo Bills 52-17, but it was the first time The Big Game replaced its usual halftime entertainment of marching bands with the biggest pop/rock stars of the day (or even yesterday). Leave it to the Entertainment Capital of The World to inaugurate a tradition like that. Although Los Angeles has not hosted a Super Bowl since then (nor have we hosted an MLB All-Star Game since 1980 either, hmmph...), we are still the 2nd-most frequent Super Bowl host (Miami and current host New Orleans are tied for #1), having also staged the NFL's championship match in 1987, 1983, 1980, 1977, 1973 and most importantly, the inaugural Super Bowl in 1967. As for Superb Owl XLVII, The Militant doesn't really give a crap about the NFL. He just wants to watch commercials, pig out on hot wings and nachos and watch Beyonce bounce around. Honestly, under any other circumstances, he'd go with the 49ers...BUT, considering the fact that The City By The Frisco Bay won teh World Sereez (grumble grumble...) just four months ago, The Militant does not want to witness any more San Franciscan Gloating, so he's gonna root for the Ravens. Besides, The Militant being a writer, he's gotta give it up to the only NFL team named after literature. Another SF championship parade? Nevermore! 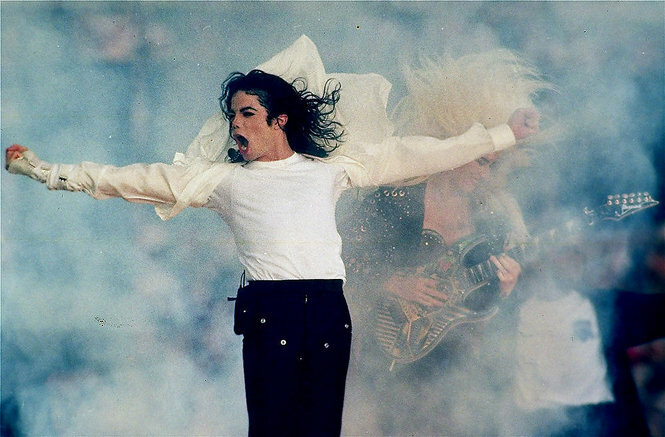 It's easy to forget how amazing Michael Jackson's performances were. Great video to watch. I certainly hope that LA can get a major event like that again soon.